The Academicum Catholicum now has a YouTube channel on which the association's lectures will be posted after the fact. The first such publication is the "Bibel und Babel" talk given by Professor Antti Laato of Åbo Akademi. He gave his talk at the Studium on January, 18th. 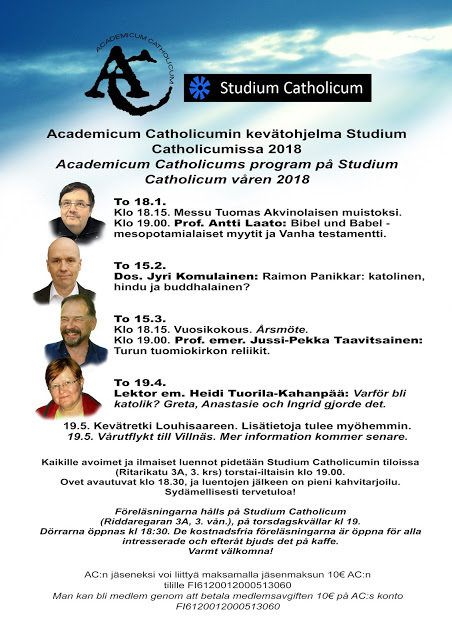 The Academicum Catholicum's Spring Programme as well as the YouTube lecture are also available here.